There have been a number of epidemiological studies of pioglitazone and its side effects. Several studies have cited a statistical link between the prolonged use of pioglitazone and an increased risk of bladder cancer. Takeda has been aware of the link between the diabetes drug and bladder cancer since 1999 when Takeda was busy testing the drug in order to present it to the FDA for approval. Animal studies at the time suggested that pioglitazone was linked to an increased risk of bladder cancer. Actos was approved in 1999 by the FDA without any warning or alert of this risk printed anywhere in the labeling of the drug. A meta-analysis published in the January 2013 edition of Diabetic Medicine confirmed many other studies published over the last few years linking Actos (pioglitazone) to bladder cancer. The data, which was collected from over 215,000 patients taking Actos, showed a hazard ratio of 1.23 for patients taking the medication compared to a control group, leading authors of the study to state, "the hazard of developing bladder cancer was significantly higher in patients using pioglitazone." Authors of the study advised doctors to take the serious risk of developing bladder cancer into account before prescribing the medication. A study published online in the August 2012 issue of the Journal of the National Cancer Institute has found that patients who took thiazolidinedione (TZD) medications like Actos had up to a three-fold increased risk of developing bladder cancer when compared to patients who were given a different type of diabetes medication. Researchers at the University of Pennsylvania’s Perelman School of Medicine found that those who took TZD medications Actos (pioglitazone) and Avandia (rosiglitazone) for five years or longer had a “two-to-three-fold increase in risk of developing bladder cancer” when compared to those who took a different diabetes drug. “Diabetes is one the most common chronic diseases worldwide, affecting 285 million people. There are many factors clinicians must weigh in deciding which drug to use to control a patient’s diabetes, and these new data provide important information to include in that decision-making process,” said lead researcher and professor Ronac Mamtani, MD. Data gathered in a study conducted by researchers at McGill University and Jewish General Hospital in Montreal, Canada suggests that Actos (pioglitazone) users are over 80 percent more likely to develop bladder cancer than those who don't take the drug. In patients that take Actos for more than two years, the risk of developing bladder cancer is doubled - a finding that is very unsettling considering Actos is meant to be taken long term. The Actos study was published on May 31, 2012 in the journal BMJ. "I think this is probably the single best study of this issue, and I think (it) leaves little doubt that pioglitazone is a potential risk for bladder cancer," concluded Dr. David Juurlink, head of the division of clinical pharmacology at the University of Toronto. A study conducted by France's health insurance agency (Caisse National d’Assurance Maladie), made public on June 7, 2011 prompted France and Germany to withdraw pioglitazone-containing medication from pharmacies. French researchers found that patients taking pioglitazone were more likely to have bladder cancer than those not taking the drug. Additionally, those taking higher dosages of pioglitazone were shown to be at a higher risk for bladder cancer. A 2011 study published in Diabetes Care has presented data that suggests prolonged use of pioglitazone (longer than 2 years) can increase the risk of developing bladder cancer. Results from a study called the PROactive study (PROspective pioglitAzone Clinical Trial In macroVascular Events) funded by Actos manufacturer Takeda Pharmaceuticals, were presented in late 2005. The study showed 16 cases of bladder cancer reported from patients given Actos, which was four times higher than those who received other drugs. In 2006, the FDA required Takeda to include these bladder cancer reports on the Actos label. 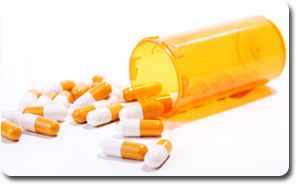 A study conducted in 2002 found a link between pioglitazone and bladder cancer. The study, published in Southern Medical Journal was designed to review the benefits and risks of Thiazolidinediones (TZDs) like Actos. According to researchers, several animal studies and clinical trials suggested that TZDs may induce cancer.